The original oil painting is painted on stretched cotton canvas, 6″x8″. 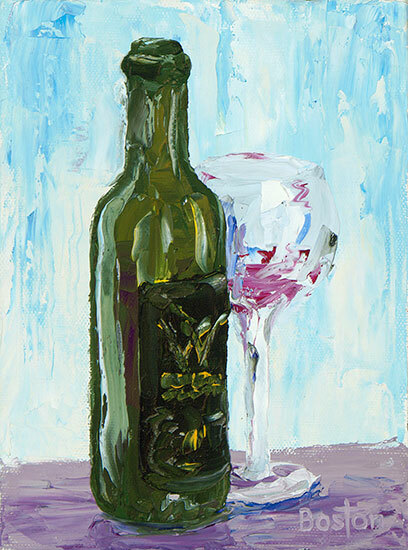 This was intended to be a simple study of a local wineries excellent wine bottle. Woodinville Wine Cellars has some very unique blends and original wines. High-quality giclée prints on both canvas and archival paper available. Please contact the artist.